GWINNETT COUNTY, Ga. – Authorities say a brother accused of attacking his parents was not involved in a fire at a Snellville restaurant. Police say 17-year-old Cameron Ervin and 22-year-old Christopher Ervin drugged their parents and tried to blow up their home using candles and natural gas on Sept. 5. When that plan failed, police say they stabbed their father, beat their mother and attempted to strangle both. DACULA, Ga -- Police have released few details about the brutal stabbing death of Margaret Sheffield, 77, of Dacula. But newly released court documents obtained by 11 Alive News explain more about how and why she was killed, and what led police to arrest her 16-year-old neighbor. Sheffield's body was found by a relative inside her home, in the foyer, of her Track Way home on Friday, September 11, 2015. But police believe she was killed the day before on Thursday. GWINNETT COUNTY, Ga. -- Two Gwinnett County brothers accused of brutally attacking their parents were visited in jail by the very people they allegedly attacked. Police say 17-year-old Cameron Ervin and 22-year-old Christopher Ervin tried to blow up their parent's home using candles and natural gas on Sept. 5. When that plan failed, police say they stabbed their father, beat their mother and attempted to strangle both. LAWRENCEVILLE, Ga. – The attorney for a 16-year-old charged with murdering his neighbor says cameras shouldn’t be allowed inside the courtroom. Attorney Walt Britt argued before a Gwinnett County Magistrate Judge Friday afternoon that cameras would unfairly prejudice his client, James Watkins. Watkins is accused of brutally murdering 77-year-old Margaret Sheffield, a grandmother who lived nine doors down from him. GWINNETT COUNTY, Ga. -- Less than two weeks after two brothers allegedly tried to kill their parents, the family is talking about forgiveness. As she recovers from a beating allegedly at the hands of her sons, Yvonne Ervin's Facebook page still portrays a happy family, featuring photos of sons of Cameron of Christopher. Cameron Ervin, 17, and Christopher Ervin, 22, have remained at Gwinnett County Jail since the Sept. 5. attack. Police say they tried to blow up their parent's home using candles and natural gas. 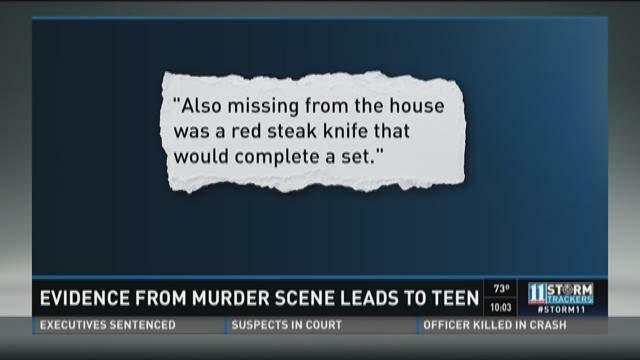 When that plan failed, police say they stabbed their father, beat their mother and attempted to strangle both.